Coinciding with Art Basel Miami Beach 2015, Kith debuts its first art gallery, titled The Kith Homage Exhibit. This pop–up gallery installation will host the debut of Ronnie Fieg’s upcoming 25th anniversary GEL-LYTE III collaboration with ASICS. 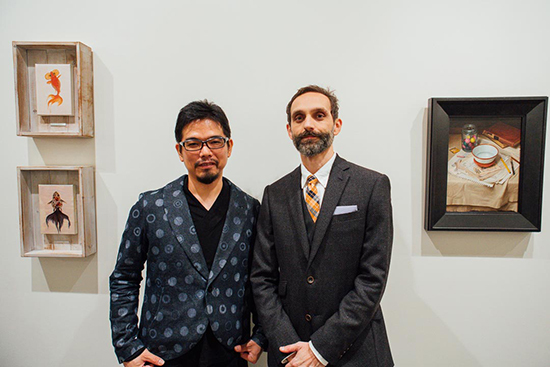 The exhibit will include an array of artists including Wayne White, Josh Sperling, Alfred Steiner, Greg Lamarche, Michael Kagan, Erin M. Riley, Evan Hecox, Riusuke Fukahori, Paul Wackers, Jim Houser, Gregory Johnston, Sam Friedman, David Ellis, and Andrew Schoultz curated by Joshua Liner Gallery. Each of the hand-selected fourteen artists will provide works of art inspired by some of Fieg’s previous work with ASICS. To launch the exhibit, Ronnie Fieg will host a special in-gallery signing for his first authored book, appropriately titled Homage by Ronnie Fieg. The book details Fieg's inspirations and back-stories regarding some of his past GEL-LYTE III designs, a thorough breakdown of his 25th anniversary design, as well as exclusive content created in partnership with ASICS. 50 copies of Homage by Ronnie Fieg will be sold exclusively at the gallery. The Homage book signing with Ronnie Fieg will commence on December 4, 2015 from 12-2pm EST. 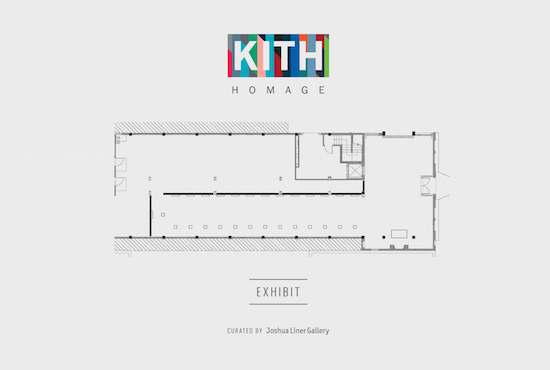 The Kith Homage Exhibition curated by Joshua Liner Gallery will open to the public at 4PM EST on December 4, 2015 and run through December 6, 2015.